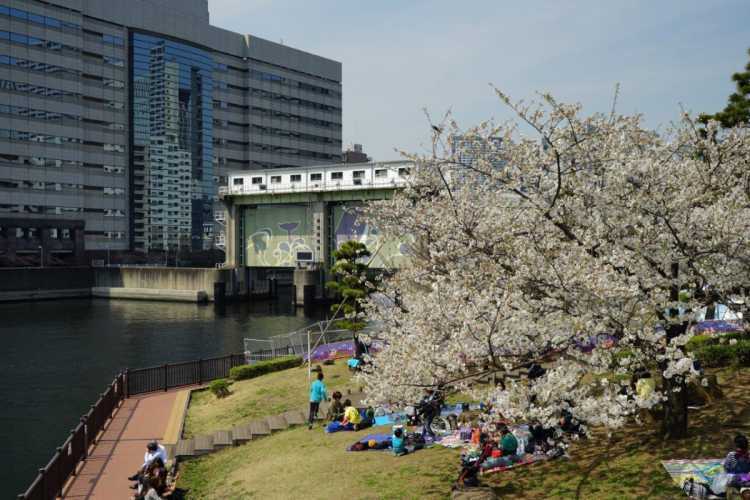 At the park that makes the most of the water's edge, you can enjoy scenery of both a canal and cherry blossoms at the same time. In April, they will hold 'Shinagawa Canal Festival' with many stalls standing in lines.◎Shinagawa Canal Festival will be held between 2017/4/7(Fri)-4/9(Sun). ※The eve of festival will start from 18:00 on 4/7, and it will end at 15:30 on 4/9.